As of this writing, the two most expensive homes for sale in Gilbert are listed in Santan Lakeside Estates, each with over 6,000 sq.ft. of living area. The asking prices are $2,800,000 and $2,995,000. Privacy and a private ski lake do come at a price and the monthly HOA is $550 /month. Timing is everything. One day I was driving on Riggs Rd. and noticed a banner advertising a competition in the subdivision, so I pulled in and was lucky again upon realizing I had my camera, which is becoming a standard piece of equipment. So you can get an idea of what goes on behind closed gates. 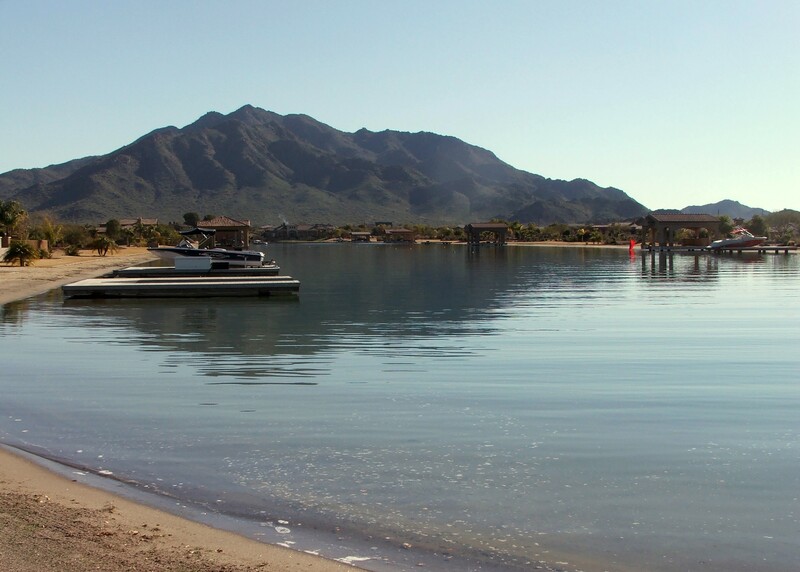 San tan Lakeside Estates is truly a welcome anomaly in the desert and understandably surprising to many that Phoenix has waterski lakes that provide year round enjoyment for those with a passion for waterskiing. A word of caution, it is not deep enough to hydrofoil. For additional information and pictures regarding this unique jewel in the desert, please e-mail or call me.